The 2017 GP3 season begins this weekend in Barcelona, and while the grid has shrunk over the winter, the quality of drivers remains just as high. David Gruz examines this year's contenders. 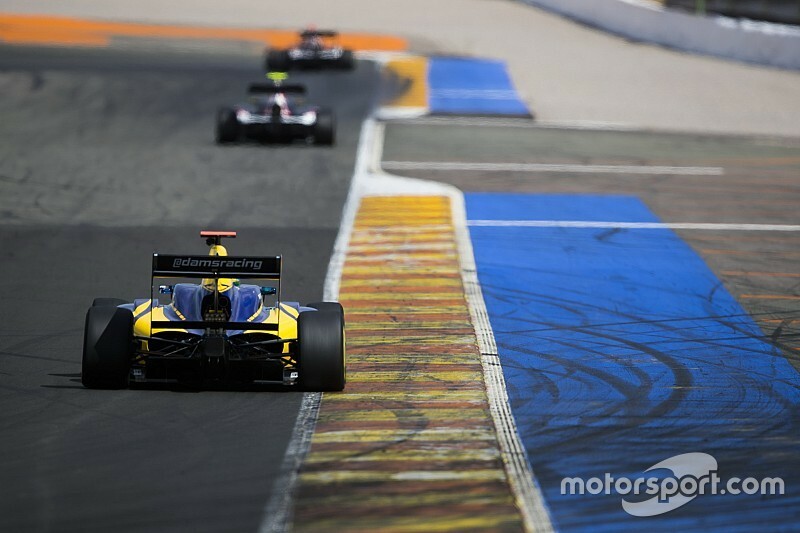 Despite GP2's rebranding to FIA Formula 2, which shifted the main F1 feeder series more in line with F3, GP3's status in the Formula 1 paddock remains unchanged for 2016. 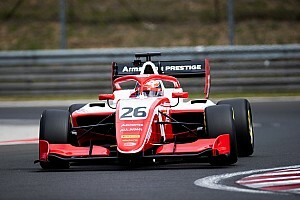 Charles Leclerc's title continued the trend of high-quality drivers winning the series, as well as ART's position as the series' undoubted powerhouse team. The French squad is likely to play a major role in the 2017 championship as well, having lured another F3 star affiliated to an F1 team to join the two highest-placed returnees from last season. The size of the field has decreased by five over the winter, mainly due to Koiranen's withdrawal, meaning only 19 drivers will take part in the season opener. But, with eight drivers in the field affiliated with an F1 team, there's still plenty of talent - and a healthy number of rookies graduating from F3, Formula Renault and F4 as well. On the technical side, GP3 has introduced DRS for 2017, which promises more overtakes and less processional races, for which the series was criticised by many in the past - although the system will work differently to the version used in F1 and F2. A new rear wing will also generate more downforce, increasing cornering speeds, although the concomitant drag is likely to mean laptimes remain roughly the same as they were in 2016. 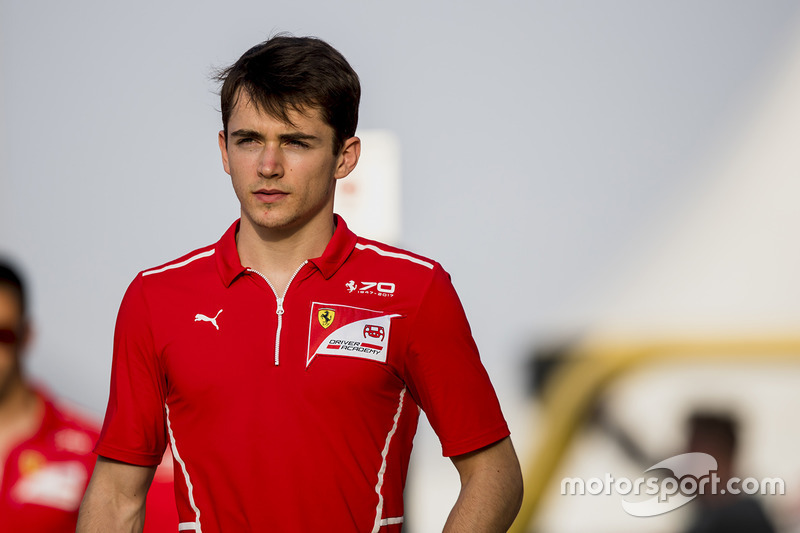 Last year, ART became teams' champion for the sixth time in seven years, and Charles Leclerc and Alex Albon took a 1-2 in the standings. Having enjoyed arguably the strongest line-up in the past two years, the trend continues for 2017, as it has the two highest-placed returnees and two top F3 graduates. In Jack Aitken and George Russell, the team has the two most obvious picks for the title. Aitken has been getting better each year during his career, the Renault junior becoming one of the best GP3 drivers in the second half of 2016 alongside his Arden teammate Jake Dennis. A year of experience and a switch to ART will only make him stronger this year. Russell on the other hand is following in the footsteps of Esteban Ocon and Leclerc, champions of the past two years. Russell may have been less successful in F3 than either French-speaker, but he is just as highly-rated, and wasn’t signed by Mercedes by accident. 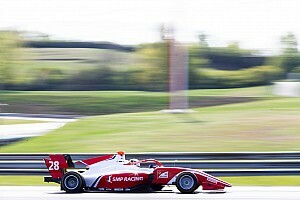 The pace is there, as shown in testing, but he will need to master the other aspects of GP3 as soon as possible. The third F1 junior in the team is Honda protege Nirei Fukuzumi, who was just as quick in testing as Aitken and Russell. Fukuzumi showed plenty of promise during his first year in GP3 - and in Europe - including a podium in his very first race, and then two more later on. With Sauber becoming a Honda team from 2018 onward, Fukuzumi's chances of once making it to F1 have increased, but first he needs to prove he can beat the more established talents. Rounding out the ART line-up is Anthoine Hubert, who enters the season as the dark horse within the team. He is another proven talent and a race winner in F3, and his rookie campaign there last year was very much comparable to that of Russell’s from 2015. He was not as quick as his teammates in testing, but the introduction of DRS could make a potential qualifying deficit less important in 2017. 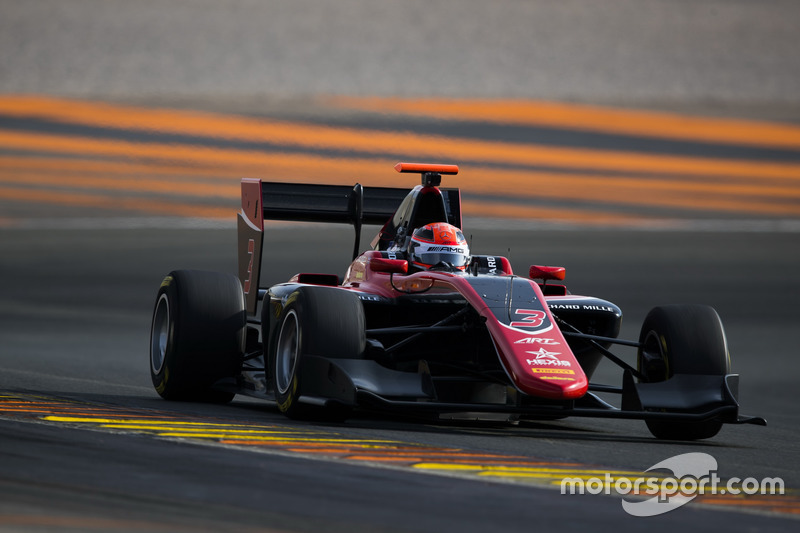 If ART was the quickest to master the new GP3 car last year, Arden, in the hands of Aitken and Dennis, became its equal for the final few rounds, in particular when it came to mastering tyre degradation. Building on that momentum, the British team could pose a serious threat in 2017. The team has had two drivers regularly at the front in testing, Niko Kari and Leonardo Pulcini. Red Bull junior Kari has been singled out by several other drivers as one to watch, as he attempts to emulate the success of fellow Finn Valtteri Bottas. He has showcased great race pace in testing, which, twinned with Arden’s strong tyre management, could easily make Kari a major player. After a year in Italian F4 and two in Euroformula Open, which ended with the title, the financially-limited Pulcini is making a well-deserved step up to GP3. His single-seater career has been under the radar so far, but racing in front of the F1 paddock will be a massive opportunity for him. Steijn Schothorst completes Arden’s three-car effort, the Dutchman already having a year of experience under his belt with Campos. Schothorst, mentored by Giedo van der Garde, showed promise last year, finishing ahead of the highly-rated Alex Palou. Challenging for podiums and perhaps even a maiden win should be the next step for him. Along with Arden, Trident has been ART's biggest challenger in recent years, with Luca Ghiotto narrowly missing out on the 2015 title and Antonio Fuoco ending up 'best of the rest' last year. Despite entering with four cars, the Milan-based team’s title effort could again hinge on one driver. Dorian Boccolacci continues his adventurous junior single-seater career, which so far has seen him go from French F4 to European F3, then back to Formula Renault, and now up to GP3. 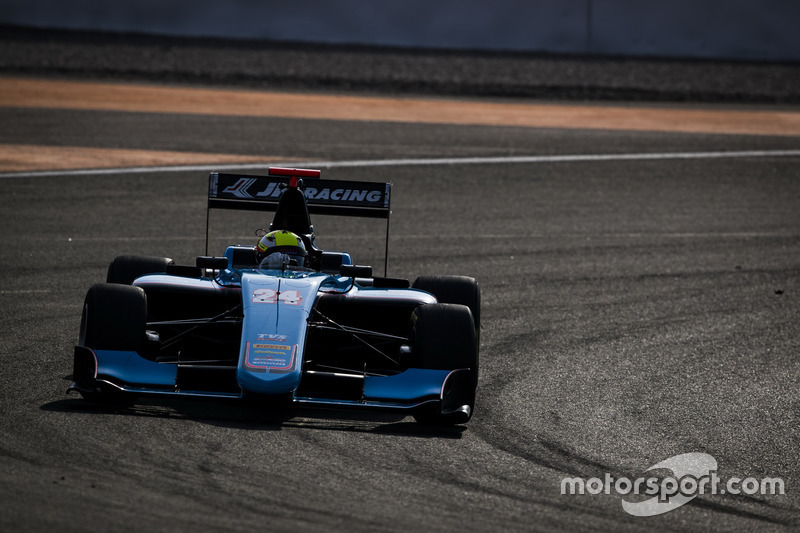 Lando Norris' main Eurocup rival has already shown a lot of promise being fastest in the Valencia and Barcelona tests, meaning he's likely to spearhead Trident's efforts to take on the ART powerhouse. Another former FR2.0 frontrunner in the form of Kevin Jorg will also race with Trident. Aitken's former Renault Sport Academy partner failed to match the Briton during his rookie campaign, as he was only 14th overall, and based on testing, outright pace could still be a weak point for the Swiss driver. For Ferrari junior Giuliano Alesi, moving up to GP3 last year was a already massive step, and even becoming a regular point-scorer would be an improvement on a low-key debut year. American Ryan Tveter will complete the team’s line-up, after failing to finish higher than seventh in 51 F3 starts. 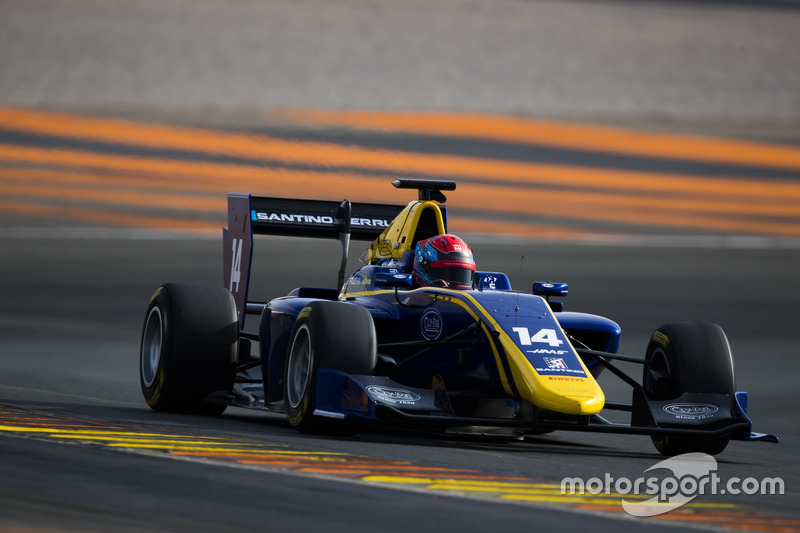 Serial GP2 and Formula 3000 title-winning outfit DAMS ventured into GP3 last year, as what had seemed a promising campaign after pole position and second place in the team’s very first race tailed off, despite two reverse-grid wins for Jake Hughes. The French squad was rather low-key in testing compared to its rivals, but its line-up is one of the more experienced ones, and it can boast two F1 juniors in the form of second-year drivers Santino Ferrucci and Tatiana Calderon. 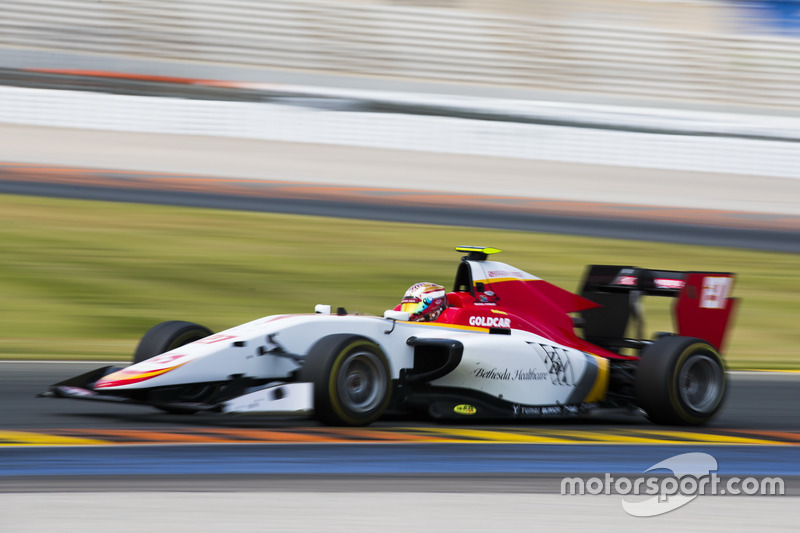 Haas protege Ferrucci was consistently the fastest DAMS car in testing. The 18-year-old American was a bit too raw at times during his rookie season, but improved enough to regularly make it to the lower ranks of the top 10 in the second half of the season. Calderon, who recently has become affiliated with Sauber, will also benefit from a year of experience in the series after failing to match Arden teammates Aitken and Dennis in 2016. Having struggled over a single-lap last year, the addition of DRS should make her life easier this time around. The DAMS line-up is completed by 2014 F4 Sudamericana champion Bruno Baptista, who has spent the last two years in Formula Renault, where he failed to make much impact. 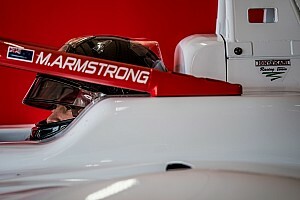 Keeping up with and learning from his more experienced teammates will be the primary aim for his rookie GP3 campaign. The Swiss Jenzer team kicks off the season as only a two-car outfit, but both its drivers are talented enough to score the squad's first 2012. Interestingly, both Arjun Maini and Alessio Lorandi began the 2016 season in European F3, but ended it in GP3, and both have elected to stay on for their first full campaigns in the latter. For Maini, recently signed as a Haas development driver, the decision to switch series came early in the year, and results arrived more or less immediately as he became the most successful Jenzer driver since Patric Niederhauser in 2012. The Indian teenager took a podium in his only fourth race, and finished a strong 10th in the standings - so a campaign with proper preparation promises much. Lorandi stuck it out a little longer in F3, scoring a win in Pau, and only entered GP3 for the final two weekends of 2016. The 18-year-old former karting prodigy has a lot more talent than he has been able to show so far, and the question is whether he can unlock that potential this year. Having never been better than seventh in the teams' championship, Campos can at least look forward to its best-ever placing this year with only six outfits on the grid. However, an all-rookie line-up is sure to make life difficult for the Spanish squad, even if their drivers have shown flashes of promise. Probably the driver Campos can expect the most from is Raoul Hyman, who after being a former rival of Russell and Maini in BRDC F4 made a rather unsuccessful transition to F3 in 2015. Last year was spent almost entirely on the sidelines, so the South African will need to shake off the cobwebs quickly. 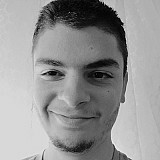 Another driver to be only confirmed a few days before the season opener was Marcos Siebert. The Argentinian is best known for beating Mick Schumacher in Italian F4 last year, albeit thanks to the German missing a round. But the step up to GP3 is a big one, as Alesi can attest. Former V de V runner-up Julien Falchero rounds out the 19-strong field, the Frenchman stepping up to GP3 from Formula Renault Eurocup, where he placed 13th last year. He was regularly found towards the bottom of the timesheets in testing, so it will take time before he is ready to challenge for points. Well I think the level is still really high... I think there are many rookies this year, more in the front anyway. For the ART Grand Prix guys, I had them as my teammates in the past at least once, in karting or in cars. All four are really really quick and I think they complement each other really well as well, because they have a bit of everything. I think George is the super-talented guy, I think he has a really big talent. Anthoine and Aitken are more big, big, big workers - and Nirei, for me, is a big big talent as well, needs to settle a little bit but once he's set, he can be very very fast. I think all four, if they learn how to use each other and work together properly, they can be real contenders for this year's title. I've seen that Boccolacci was quite fast as well in the test, so he should be quite good as well with Trident, which is a good team and was quite competitive last year as well with Fuoco and the year before, even more, with Ghiotto. I think Kari can be fast. I watched him probably once or twice and he looks quite good in races as well. I think he can be really fast but I will say he will be more dangerous in races than in qualy. I think it will be quite close between... I'll say, Jack, George - and Nirei will be in the fight as well. DG: The heir to Bottas, Kari's impressive but rather aggressive racecraft in F3 will make him fascinating to watch. But in GP3 it could turn into a disadvantage just as quickly. 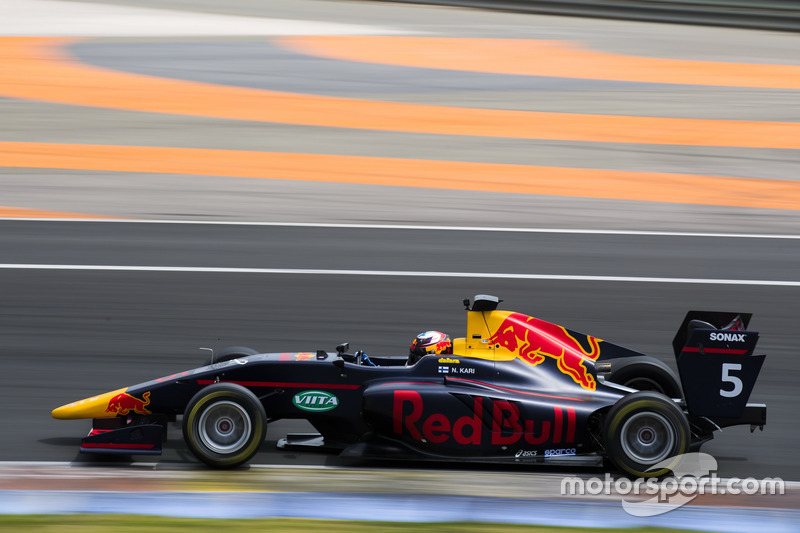 JK: After Pierre Gasly, Kari is next on this year’s conveyor belt of Red Bull juniors. Beating his Arden teammates will be the minimum expectation of his paymasters, but the Finn has shown in one season of F3 that he’s a quick learner. 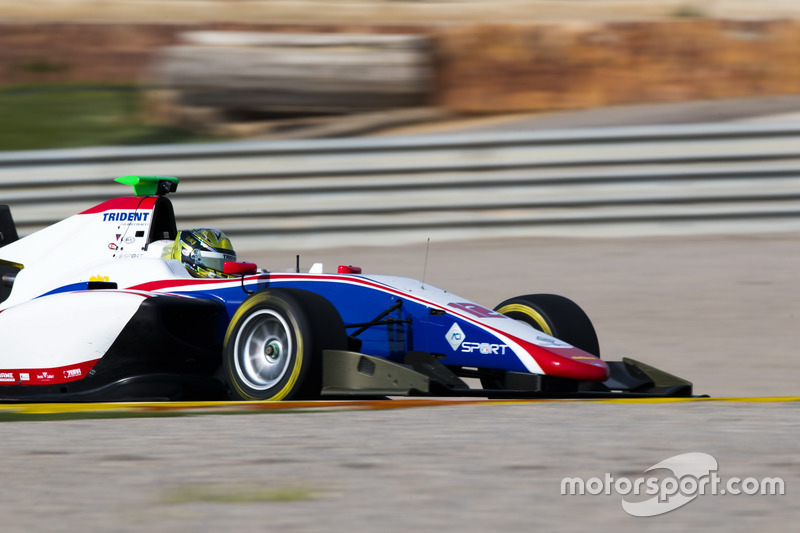 VK: Kari was electric in the Northern European SMP F4 series, but GP3 is a whole different level. Still, the fact Red Bull kept him on after flashes of brilliance in F3 is a good sign – and, of the Arden GP3 trio, he probably has the most star potential. VK: Although he's not been sub-par, Hubert has struggled to assert himself as a top name since his French F4 triumph in 2013. But he's more than quick enough on his day and is a very good addition to what is another typically ace ART line-up. BV: One of the best rookies in European F3 last year, Hubert steps aside to GP3 like many have done successfully before him. 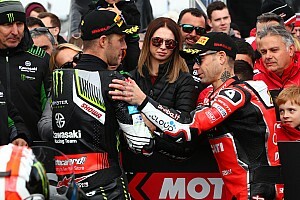 The Frenchman definitely is with the right team and should fight for victories. MS: Qualifying isn't a strong point of this likeable Frenchman but conversely that could stand him in good stead for a massive haul of reversed-grid points. I reckon he'll just pip Fukuzumi to the top five. JK: Stepping down from F3 to Formula Renault last year is looking like a very wise move by Boccolacci, given he’s ended up as the likely man to spearhead Trident’s GP3 campaign this year. Like Fuoco last year, he could be the best of the non-ARTs. BV: After finding himself in a career cul-de-sac in European F3, Boccolacci has admirably regrouped in Formula Renault 2.0. His pre-season testing performances have been extremely promising, and he could be one of GP3's pleasant surprises season. DG: The former karting prodigy's career was a bit stalled after he unsuccessfully tried to emulate Max Verstappen in F3, but after a year in Formula Renault 2.0, he is ready to finally show his class. MS: He's not the most-talked-about of the young Brits but is extremely intelligent and easily has the capacity to take the fight to Russell - and could just grab the title. Time to get into the limelight in 2017. DG: For the past two years, Aitken has recovered from a poor start to make himself look even better than before. He is a proven champion, has the experience, and is with a top team. What more does he need? BV: It shouldn't be overlooked that Aitken concluded his maiden GP3 campaign in impressive fashion, with nine consecutive top 5 finishes – including seven podiums. The Renault-backed driver has got everything he needs to win the championship this year: speed, experience and the right team. VK: Russell might not have enjoyed the meteoric ascent of fellow 2014 single-seater newcomers Max Verstappen and Lance Stroll, but it was clear from the get-go that he can mix it with the best of them. He's been comparatively under the radar so far but an ART drive in GP3 is as good a chance as any to step into the spotlight. MS: It's going to be close, and GP3's format throws a few landmines in the way, but he's a top-quality talent and I think he'll just nick it from Aitken. It could well pan it out in a similar way to Leclerc v Albon last year. JK: He may be a GP3 rookie, but with two seasons of F3 experience under his belt he should hardly be counted as such – and he’s been right on the money in testing. It’s sure to be close between him and teammate Aitken, but I feel the Mercedes junior could just have the edge. Pos. Driver MS JK VK DG BV Pts.